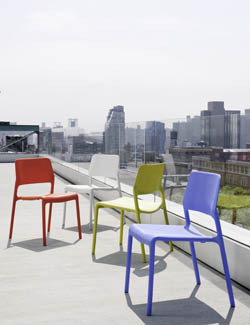 Looks like Knoll is introducing their own version of the $100 plastic chair, designed by Don Chadwick no less. Its going to be available in the typical range of bright colors, sled base or legs, for indoors or out, with the now usual range of green credentials. Not sure if it hits that $100 price point though.